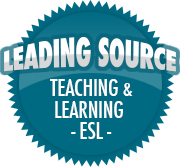 Teachings of teaching | So, You Think You Can Teach ESL? ← What Do You Want to Be? This is a good and thought provoking post! Take some time to read and process it.